Closed: 5.25"; Blade: Stainless | Standard Edge | Mirror Polish Finish; Handle: Bone; Other Info: Nickel Silver Bolsters. 6265SS pattern. Skinner and clip blades. 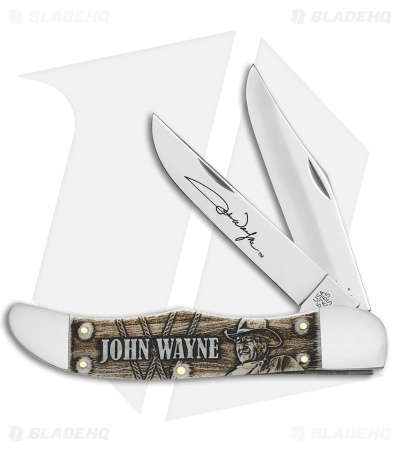 Skinner blade features John Wayne signature artwork. Boxed. 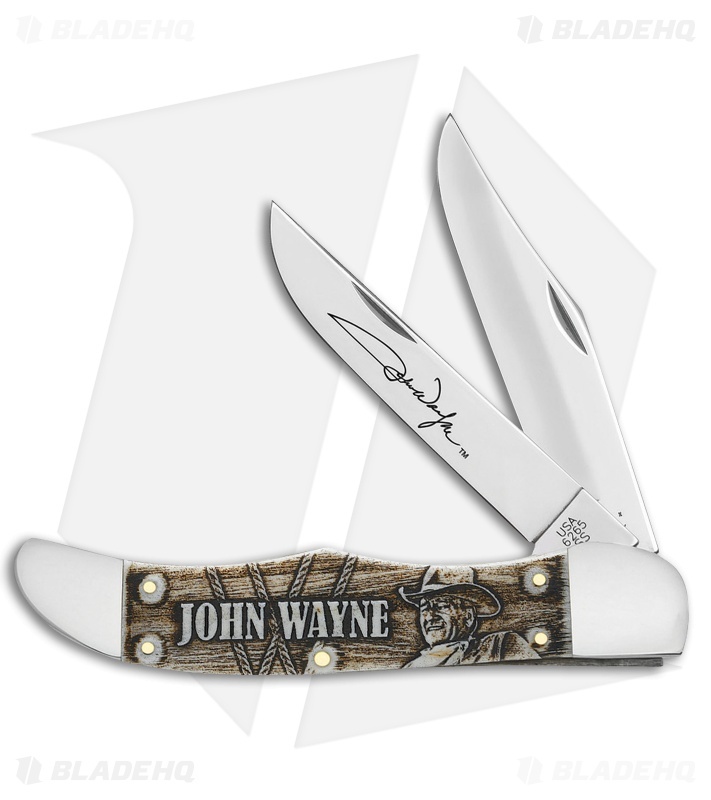 The Case John Wayne Folding Hunter includes traditional clip point and standard blades, made from Tru-Sharp surgical steel with John Wayne signature. 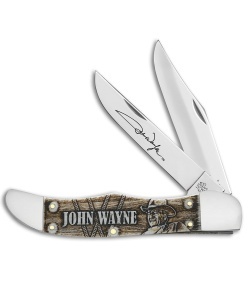 Bone handles featuring "John Wayne" and a portrait of the Duke are capped with nickel silver bolsters. Blade Information: 3.75" Polished Tru-Sharp surgical steel. Handle Information: Bone handle with John Wayne artwork.